Mmmmm! Do you remember enjoying this classic, childhood snack? I sure do! It’s healthy and delicious! Maddie and Chloe just discovered them today and they love them! Wash celery sticks and cut into pieces. 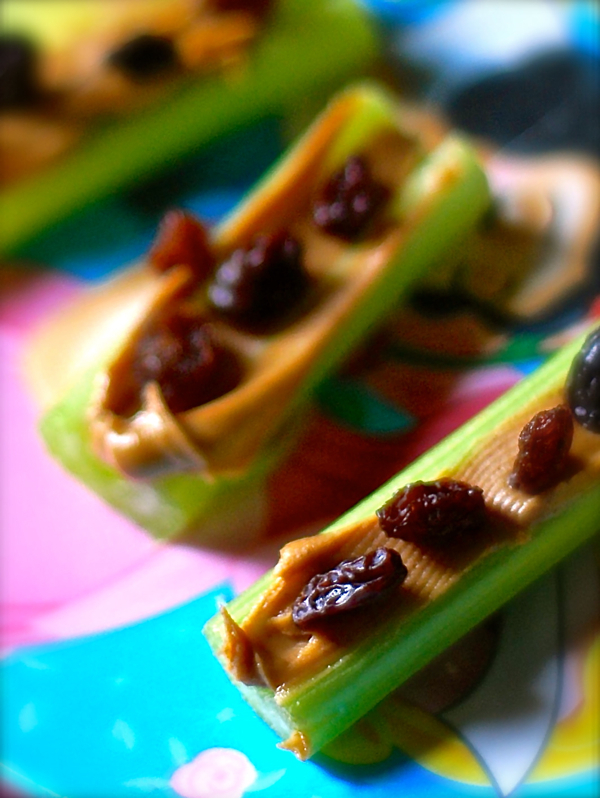 Spread peanut butter, sun butter or other nut/seed butter onto sticks. Top with raisins and serve.